Prophet Mohammed (PBUH) was a huge fan of dates. 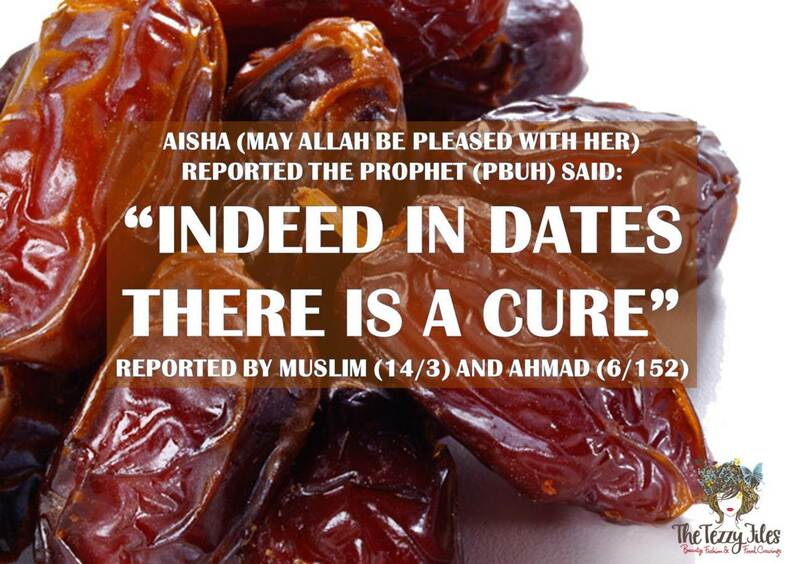 Indeed in dates there is a cure. Dates have been prized for their health-enhancing benefits for centuries. Ancient Egyptians, Greek physicians and Islamic scholars used dates in folk medicine to cure a plethora of ailments ranging from digestive disorders, bronchial problems, blood pressure regulation, liver ailments, tumors and fertility issues. Dates are fat-free, cholesterol-free and sodium-free. Despite its high level of sweetness (yes, dates are Mother Nature’s version of candy! ), one date only has 23 calories! Dates contain vitamin A and numerous B-complex vitamins (thiamin, riboflavin, niacin, vitamin B-6 and pantothenic acid), necessary for building healthy body tissue and muscle. Dates contain 15 minerals, including magnesium, iron, phosphorous, copper, calcium, manganese and potassium. These are essential for the proper functioning of muscles and the nervous system. A humble date contains more potassium per weight than a banana! Dates are loaded with dietary fibre, both soluble and insoluble. A diet rich in dietary fibre has been proven to reduce the risk of certain cancers and control blood sugar levels. Dates are also full of tannins. Tannins are responsible for the dark colour of dates in the post-harvest period, and this gives them the highest concentration per serving size among dried fruits of antioxidants, linked with fighting heart disease and cancer. The holy Prophet (PBUH) used the number 7, which has a religious significance in Islam. Interestingly, 7 dates weigh approximately 100 grams, and by modern-day standards, this is the perfect serving size to replenish the body with the required amount of daily vitamins and minerals. 100 grams of dates has a sufficient amount of nutrition to eliminate accumulated toxins in the body (referred to as ‘poison’ in the hadith). Another interesting finding shows that a handful of dates is the perfect cure for hangovers! In Islam, drinking alcohol (and any form of intoxication – perhaps this is what was referred to as ‘magic’) is forbidden and considered a form of poison for the body. The holy Prophet (PBUH) was aware of this well before the advent of modern science. 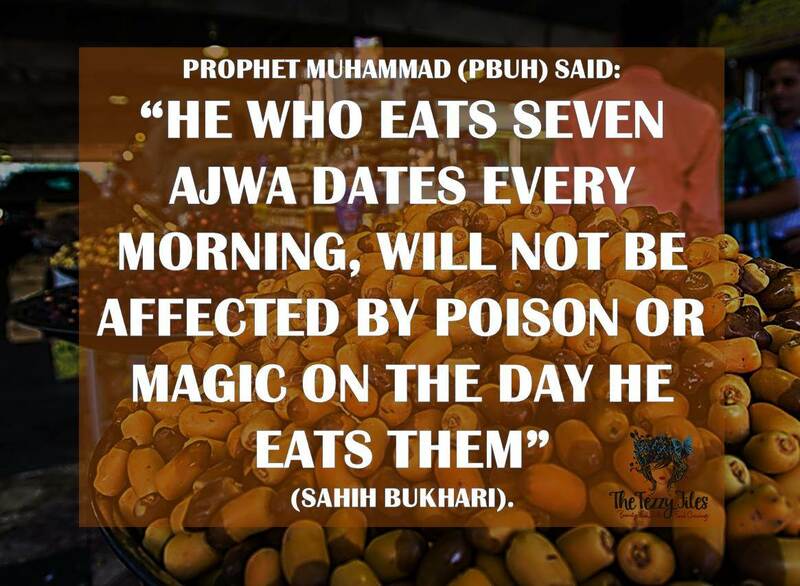 In general, this hadith is advocating the consumption of dates on a daily basis for overall well-being. A healthy body, and a healthy, happy mind. 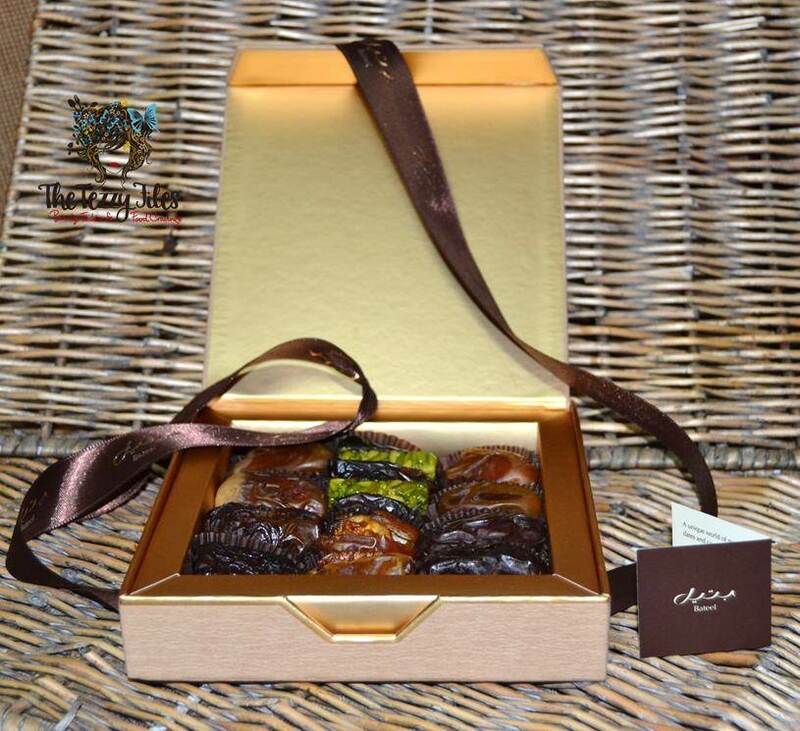 ‘Ajwa’ is a special variety of date that is found exclusively in the holy city of Madina (Saudi Arabia). Given its high demand, the ajwa (or agwa date as it is sometimes pronounced) is one of the most epensive varieties in the market. An authentic ajwa date is small in size, very wrinkled and has a few characteristic white lines at the bottom. There are many counterfeit ajwa being sold, however rest assured Bateel stocks the real deal! 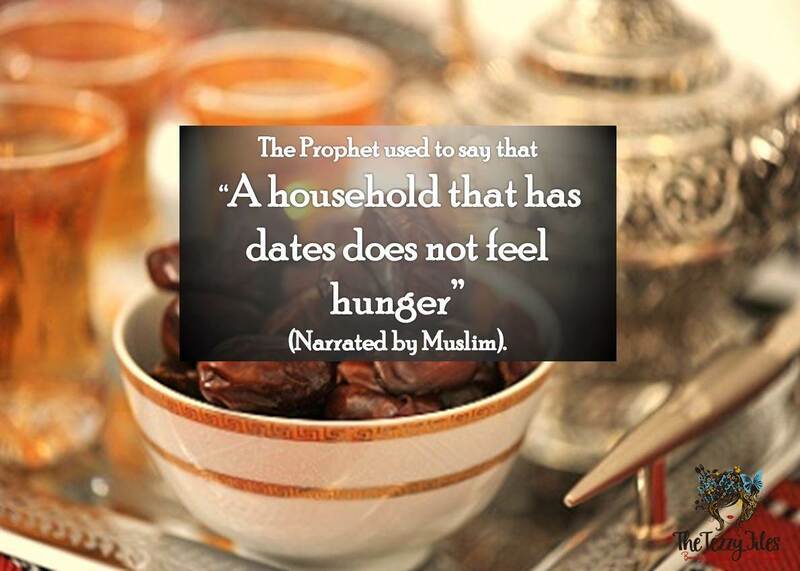 The Prophet (PBUH) was also quoted saying that a house that has dates will never go hungry. Given the humble date is very dense in essential nutrients, a small serving can satiate hunger very easily. This makes dates the perfect food for dieters! With only 23 calories per date and having the ability to curb hunger pangs, dates can help with the battle of the bulge. Bodily Cleanse: A regular intake of dates help eliminate bodily toxins. Elevates Constipation: Dates are high in fibre, and therefore widely used for eliminating the symptoms of constipation. Hangover Cure: Dates have the ability to eliminate hangovers. Weight Management: Dates satiate hunger, and can therefore help with weight-loss. Growing Children: A powerhouse of nutrients, dates are easily digested, and are therefore the perfect food source for young, growing children. For Childbirth: When Virgin Mary was in labor with baby Jesus (Prophet Isa in Islam), the Almighty asked her to shake the palm of the date tree above her and eat the fruit to ease the pain. This lovely story is shared between Christianity and Islam. Dates have long been consumed during childbirth. Their high sugar content makes them the ideal natural stamina booster. Dates also have the ability to stimulate the uterus to give regulated contractions needed to facilitate birth. The high fibre content gives dates a laxative effect which purges the colon and intestine to aid delivery. Dates are an important component of the holy month of Ramadan, and are an essential on the ‘Iftar’ table (the meal at sunset to break the fast). During the holy month of Ramadan, Prophet Mohammed (PBUH) used to break his fast with fresh dates. If these were not available, he made do with a glass of pure water before he preformed Maghrib (the evening prayers). 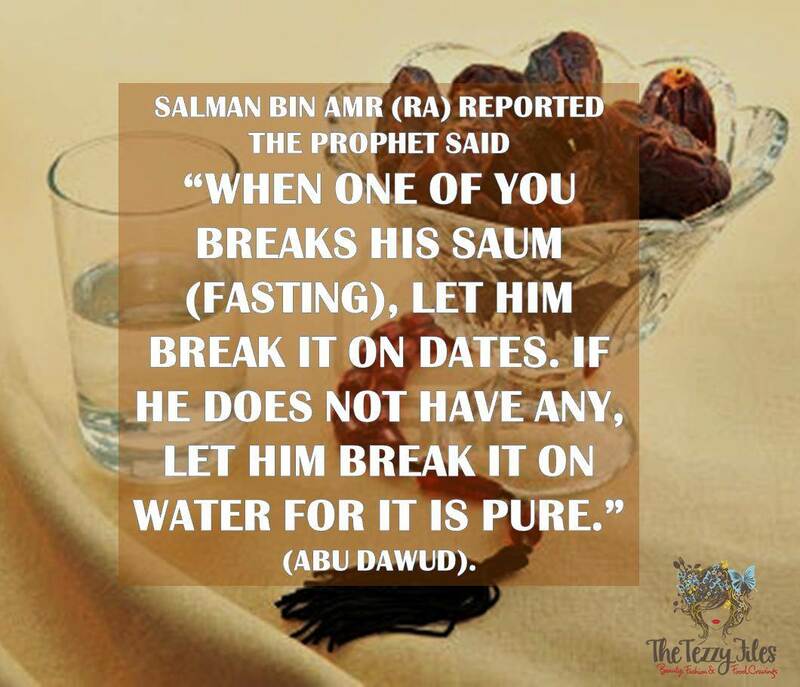 Why break the fast with dates? Dates can be easily digested, and are therefore not taxing on a fasting stomach. Dates help the stomach accept food after being inactive the whole day by helping to secrete digestive juices. Dates satiate hunger fast, and this helps avoid over-eating after a long day of fasting. Being rich in natural sugars, dates provide an instantaneous energy boost. 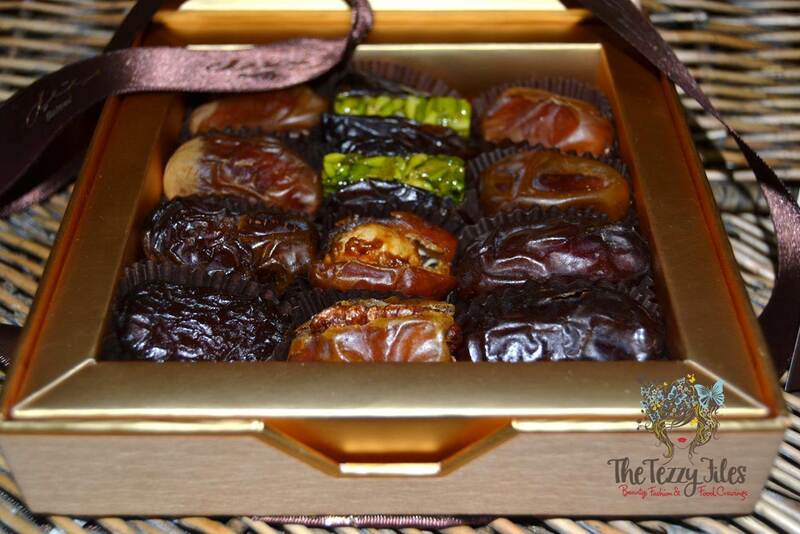 The high fibre content of dates keeps the bowels regulated despite the change in meal patterns during Ramadan. I received this decadent little box of dates from Bateel. Want to have a peak inside? Bateel is a pioneer in the market for premium quality dates, and the brand offers some delicious new takes on the humble desert fruit. My box includes dates stuffed with candied orange and delectable nuts including pistachios and cashew. Treat yourself to a Bateel box this Ramadan. And perhaps you’ve been invited to an Iftar party by a dear friend? 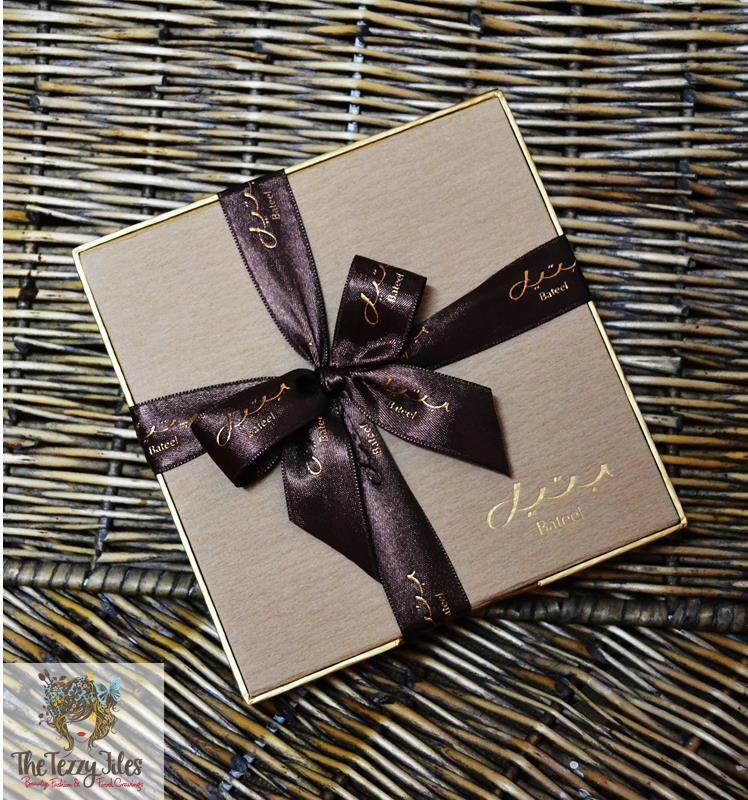 A box of Bateel dates would make the perfect Ramadan gift! Posted in Food Products, Health & Wellness and tagged Culture, dates, dubai, food, hadith, Health, islam, muslims, religion, UAE. Bookmark the permalink. Reblogged this on Naina at Cooking. Dates are the best thing to have – after reading your article, I will make Dates as staple food at home. Thanks. Really interesting read. I currently live in china and they also have strong ties with dates but its a completely different type of date. It has a spongy texture inside and they usually use if to make tea or porridge. The type you mention in the post is the kind I was familiar with. Thanks for the comprehensive post learned a lot! Thank-you Ally! So happy to hear you found my write-up informative 🙂 I have never heard of the Chinese variety! Perhaps you can tell me more about it? I have the regular dates in porridge too, but never heard of a date tea! So good to learn new things! I don’t know very much about it really. To be honest I don’t really like it cause it isn’t as sweet and it spongy whereas the other date is kinda like eating candy. The name is jujube or red date. thank you for sharing these information. 😀 So great to learn a lot of things! and IMO +2349065703424… thanks a lot..
Glad you found this useful! Thank-you for your kind words. A very good Article! Nice to read . Sun-Kissed: Beautiful beauty products that make me blush!